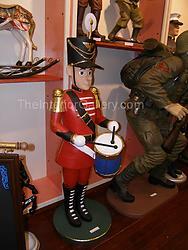 A large Life size nutcracker drummer tin soldier statue. 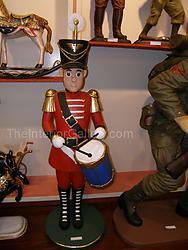 This gorgeous beauty is part of a collection of hand crafted Christmas statues and collectibles. The incredible details depicted on this Christmas item truly makes it a piece of art. It is sure to attract crowd's attention and is a wonderful conversation piece. 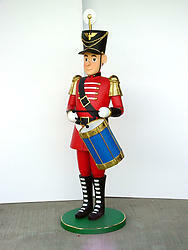 This large nutcracker statue is made from durable materials using cast resin mold mixed with fiberglass. 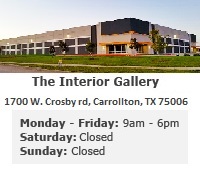 It is hand painted to the highest detail by professional artisans. Dimensions: W22" x D23" x H68"